Provide comfort for the family of Arbutus Weaver with a meaningful gesture of sympathy. 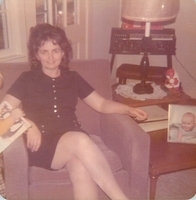 Arbutus Marie Weaver, 82, of Hagerstown, MD, formerly of Fayetteville, passed away January 22, 2019. She was born in 1936 to the late Welzie and Dellla Mae Royal. She is survived by her children children; Connie Marie Wilson-Johnson, David Earl Canterbury, Della Mae Jones and siblings, Freda Nickel and Clifford Royal. She was preceded in death by her parents, sons, Mark Allen and Robert Andrew Canterbury and siblings Elzie and Richard Royal. 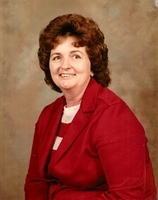 She was originally from Fayetteville, WV and moved to Maryland in the early 1970's. Retired from Craftsman Press in 1998 and returned to Oak Hill, WV and lived there until 2015, then she moved to Maryland to spend her last years with her daughter. She was a grandmother, great grandmother and great-great grandmother to many. She spent her retirement traveling all over the United States and Canada. Visitation will be on Saturday January 26, 2019 at High Lawn Funeral Home from 12:00pm to 2:00pm. Services will immediately follow with burial out at Huse Memorial Park in Fayetteville. To send flowers in memory of Arbutus M. Weaver, please visit our Heartfelt Sympathies Store. We encourage you to share your most beloved memories of Arbutus here, so that the family and other loved ones can always see it. You can upload cherished photographs, or share your favorite stories, and can even comment on those shared by others.